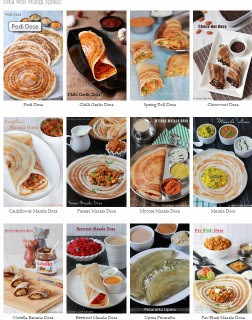 I have shared earlier many types of biryanis which is popular in India as well as Tamil Nadu. One such biryani is popular in my home town. This biryani is popular in a hotel called Prabhu situated in Nagercoil and i have tasted even last time when i visit my home town. I have happened to watch the preparation through Kairali Tv and i am so excited to share the recipe with you. About the taste of the biryani it is spicy and rich in garam masala flavour. They have added 1kg rice for 1/2 kg mutton (2:1) proportion and added lots of whole garam masala. I have tried 2:1 and 1:1 ratio and i liked when i tried with 1: 1 proportion so i am sharing the 1: 1 ratio. And they have added a pinch of yellow food colour i have replaced the yellow food colour with turmeric powder. It is prepared in jeeraga samba rice and it varies from other biryanis with the richness of garam masalas. The added cashews and raisins gives texture and mild sweet bites inbetween. Wash and soak the rice for half and hour. I used Jeeraga samba. Heat oil and 2 tablespoons of ghee together and add the whole garam masalas cinnamon, cloves, cardamom, bay leaf, star anise, kalpasi, nutmeg and mace and roast till the aroma arises. Add the chopped onion and roast in that flavoured oil till the edges stats to golden colour. Add the ginger garlic paste and roast till the raw aroma leaves for about thirty seconds. Add the slit green chillies and roast for thirty seconds and the tomatoes. Cook tomatoes till it becomes soft add the mutton/ chicken with some salt and cook till the colour changes to pink to white. Now add all the masala powders turmeric powder, chilli powder, coariander powder and fennel powder and mix well and roast with the meat. Add the coriander and mint leaves and mix well. Add the beaten yogurt and mix well. Add a cup of water and salt. Mix well with a ladle and and pressure cook the gravy for 4 whistles for mutton (or) 1 whistle for chicken. Allow the pressure to go off by itself. Open the lid and add the soaked rice. Then add a tablespoon of ghee and cashews and raisins. I have added as such you could roast in that ghee and add with the ghee. Mix twice with a ladle and close with a lid and pressure cook for 2 whistles and transfer the pressure cooker to a very low flame burner and cook in sim for 2 minutes for any water to evaporate. Switch off the flame and allow the pressure to release by itself. Transfer the biryani to a broad vessel to stop the cooking process and slightly mix with a ladle. I'm doing this recipe 10th time now. 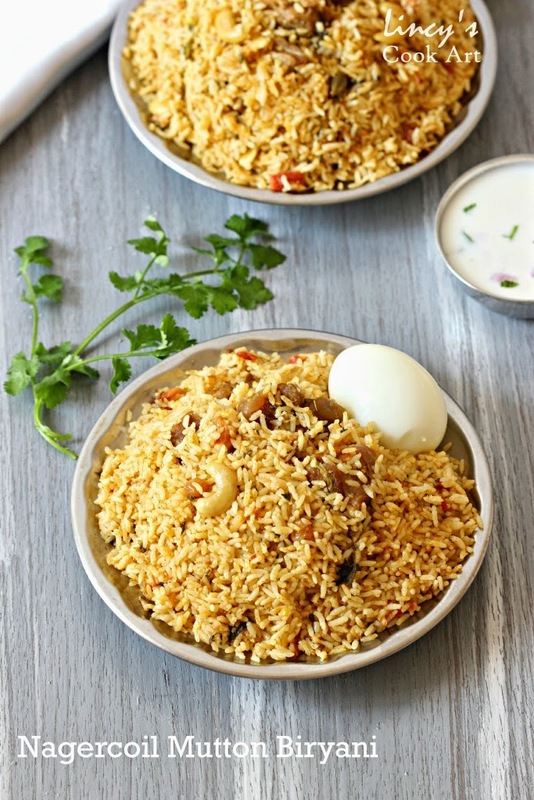 I was totally impressed by the receipe.so far never seen a receipe for biriyani , which i would be able prepare with ease and get the same taste each time i prepare. Really appreciate yourself posting Nagercoil receipe :) I tried your receipe and the Biriyani turned out delicious.